With spacious villas spectacularly located in the Ayung valley, we see this as an ideal place to relax in a tropical paradise. 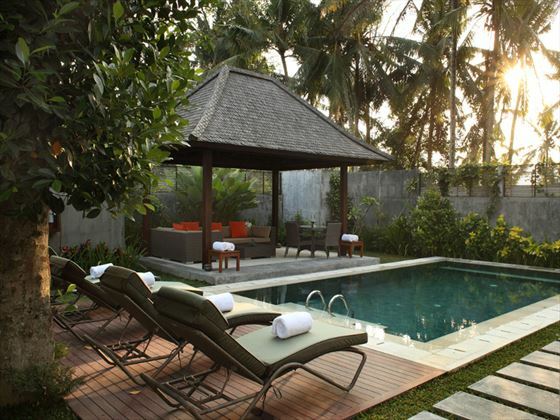 Guests can encounter the artistic and cultural heart of the island, walk the infamous terraced rice fields and retreat to the peace and tranquility of the Samaya Ubud. The ‘Swept-away’ restaurant, set upon the river bank, provides a soothing resonance whilst guests can enjoy a truly unique dining experience. Chef de Cuisine I Made Lugra has emulated his successful style from the 5 years he spent at ‘Breeze’ at Seminyak of modern and eclectic dishes, maintaining a strong focus on local produce and authentic flavours. Known throughout the world as Bali’s cultural and artistic capital, Ubud has been a magnet for travellers for almost a century. Spectacularly located amid the rice fields and verdant hillsides of Bali’s lush interior lies The Samaya Ubud, a harmonious blend of cutting - edge design and lavish comfort. 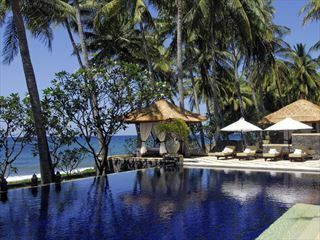 While Ubud is known as the cultural capital of Bali, it also offers a range of outdoor activities. Its rivers, valleys, rice fields and hills provide a stimulating landscape for the adventurous tourist. 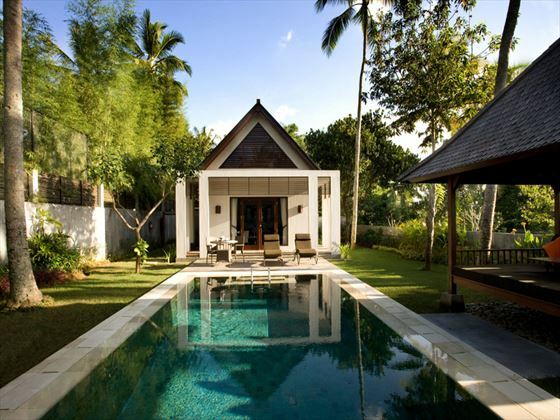 Hillside Villa - These charming villas are located either in the upper level complex, or by the calm Ayung river. 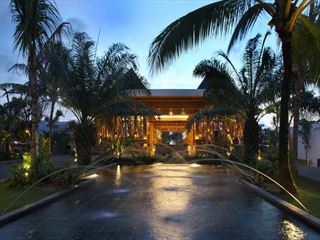 Surrounded by lush garden, they have a lovely secluded feel. Featuring a private lap pool. Hill View Villa - These gorgeous villas have an equally as spectacular location, boasting panoramic views of the rolling rice fields and hills. Featuring a private lap pool. 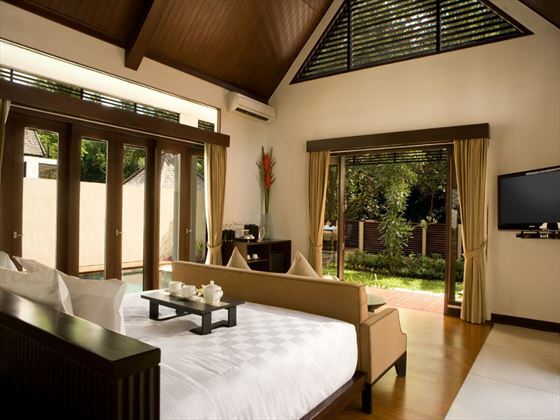 Ayung Villa - Stunning villas nestled right next to the Ayung River and framed by luscious forest. 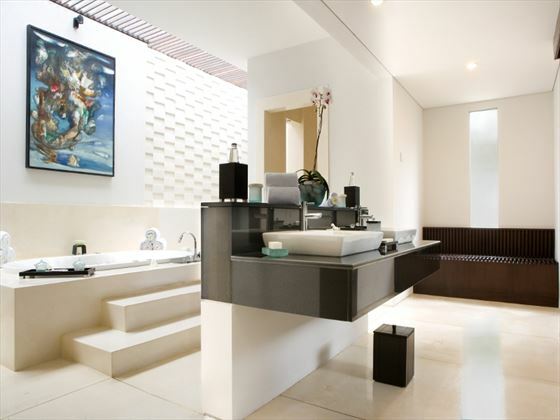 Boasting elegant decor and a private swimming pool. 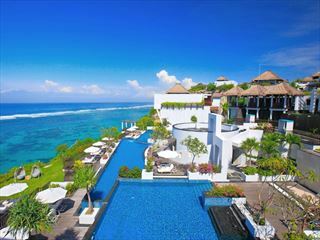 Two Bedroom Villa - Spacious villas treating you to your own private full-size swimming pool, chic decor, and added privacy. 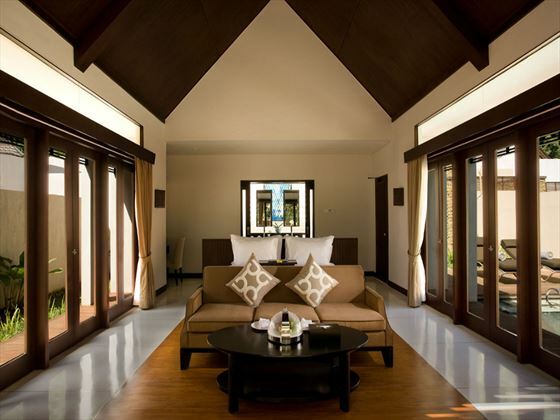 You'll find these villas in the upper level complex of the resort. 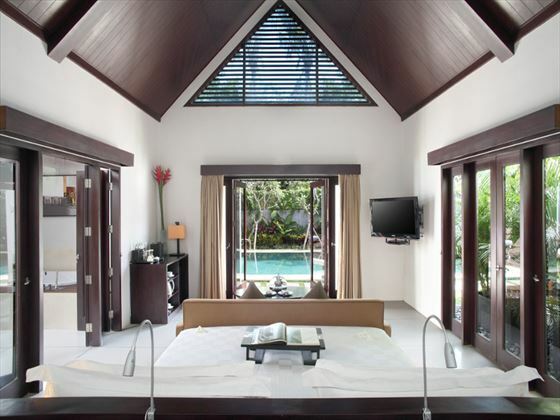 Three Bedroom Villa - Perfect for families or large groups of friends, these impressive villas boast a full-size private pool and sophisticated decor. Scene - Scene aims to celebrate the diversity of food in a unique and comfortable environment where service is welcoming, attentive and warm. Swept away - Swept away is the perfect location for an informal healthy lunch, an afternoon snack, a slow dinner, cocktails, or a night cap. Breakfast & afternoon tea - A delightful blend of old and future favorite meals in the morning to be enjoyed in your villa. 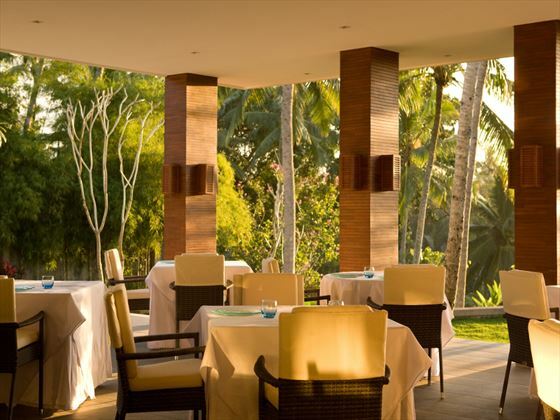 Balinese Dining at Swept Away - Swept away is the favoured location to serve traditional Indonesian fare, focusing mainly on the foods of Bali. Balinese Cooking Class - Offers a unique opportunity for you to immerse yourself in the true flavours of Bali start from a morning trip to local fresh vegetable and fruit market in Ubud, then cooking at Swept Away and then finaly a meal. Seafood Barbeque - Every so often when the markets are full with an abundance of the finest seafood our chefs put on an exceptional seafood barbeque for your enjoyment. Please note there is renovations taking place in some Villas - these are due to be complete by early 2020 however, noise is kept to a minimum and located quite far from other in house guests.